There's no hiding from it - if you're a coffee drinker, your caffeine routine eats away at a fair chunk of your cash. But what if we told you there's a way to slash your coffee spending habits without having to go without your morning pick-me-up? Just imagine what you could do with an extra $360 this year and every year after that. How about finally going on that well-deserved weekend away you've been promising yourself forever? Or treating yourself to a new smartphone, since you've been struggling with your broken screen for weeks? Whatever you'd prefer to spend it on, this simple glass reusable coffee cup is all you need to get your hands on the cash and make it happen. How can I save money with a glass reusable coffee cup? If you're a coffee shop regular, you're probably familiar with the concept of cafes offering a 50¢ discount if you use your own reusable coffee cup instead of one of their takeaway cups. This environmentally friendly move is practised everywhere, from large corporate coffee chains to small family-run cafes. So no matter where you choose to grab your latte, you're favourite coffee place is bound to run a similar scheme that you can benefit from. How much coffee do you drink? Around 75% of Australians have at least one coffee every day. And out of those, 28% have three or more cups each day. So let's say the average person orders two daily coffees - one in the morning on the way to work and one in the afternoon to combat the 3pm zombie brain everyone who's ever worked a desk job will know all too well. A 50¢ saving twice a day adds up to $360 over the course of a year. Not bad for something as simple as a reusable glass cup! 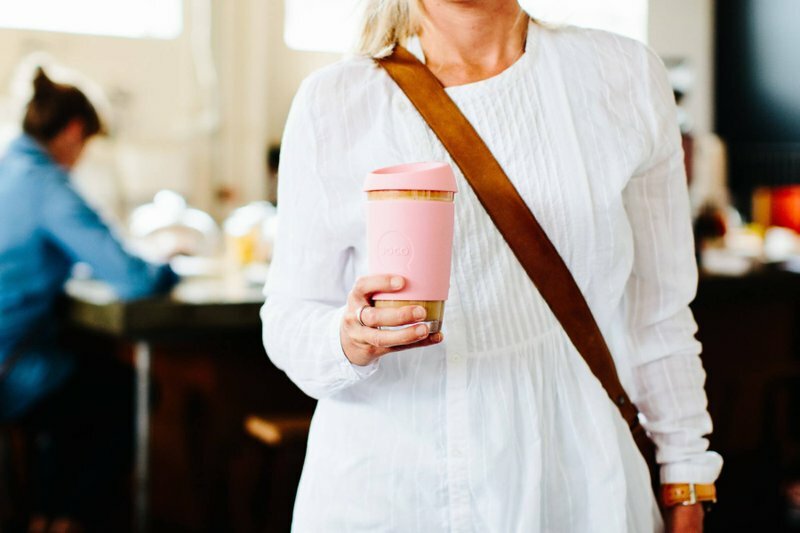 Let us introduce you to the JOCO glass reusable coffee cup, also known as the thing that's going to help you save hundreds of dollars from the moment you take your first sip. That's not all the Joco cup is good for though. This genius piece of coffee technology is made from the finest quality materials, ensuring it's every bit as efficient and effective as it is aesthetically charming. Constructed from high-quality borosilicate hand blown glass, meaning it's completely Bisphenol free (BPA, BPF, BPS & EA), it's also etch, shock and thermal resistant making it incredibly durable with great heat retention. The durable glass used to make the stylish drinking vessel means that not only does your favourite accessory look great, but it also doesn't affect the taste of your drink one bit, leaving every sip of your barista latte tasting exactly as it was intended. The smart silicone sleeve protects your hands from piping hot cappuccinos as well as icy cool frappucinos and the excellent craftsmanship, combined with leading materials, guarantees that your glass reusable coffee cup will last a lifetime - no need to ever buy more than one. Not only does the JOCO glass reusable cup support you by keeping more cash in your wallet, but it also does its part for the environment. Approximately 8 million metric tonnes of plastic is dumped into the ocean each year, a statistic which is completely unacceptable and preventable. When you buy a reusable coffee cup, you're directly preventing more plastic from being pointlessly produced and ending up as hazardous waste in our environment. 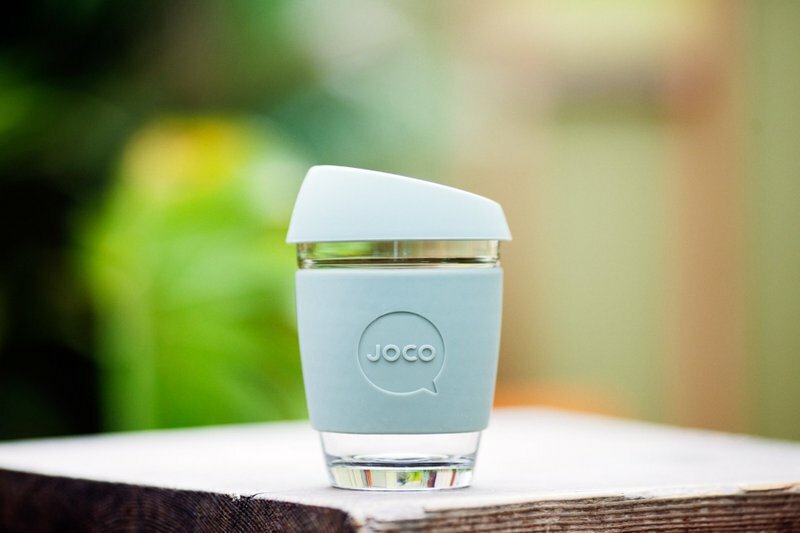 By specifically purchasing a JOCO glass reusable cup, you're helping to support a brand which does incredible things to protect the world in which we all live. Since 2017, they've helped remove more than 45,000 pieces of plastic from the environment that was ultimately destined for our oceans and the stomachs of unaware sea creatures just looking for something to eat. Preventing this kind of disaster is just one way you can help take care of the environment and the precious resources so many of us take for granted. Here are some more tiny changes you can make in your life that have a big impact on protecting the environment. We're not going to gloss over it - we all want to do our part for the environment, but we're all a lot more likely to pitch in if the effort is minimal, right? For example, what would you be more likely to do - spend 5 hours picking up rubbish at the beach or make a $5 donation to an environmental protection cause? If you chose the donation option, that doesn't make you a bad person. It makes you human. 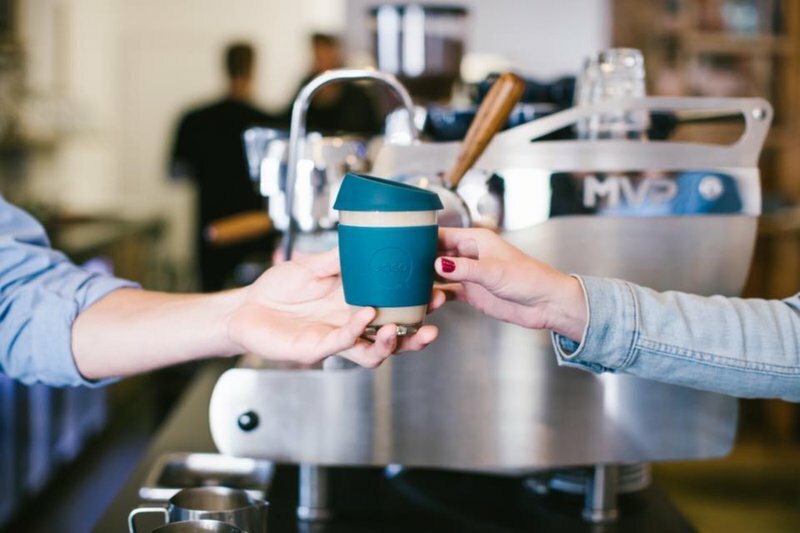 Reusable coffee cups allow you to support a really great cause that genuinely does huge things for the environment without asking you to do anything more taxing than a single online purchase. Each JOCO coffee cup is 100% dishwasher-proof (no need to get your hands dirty) and microwave-safe (ideal for when your coffee's dipped just below perfect drinking temperature). This makes a reusable coffee cup even less hassle than a standard takeaway one, since you never need to find a bin to dump it in. Looks aren't everything. But when your coffee cup looks as cool as this, statements like that can be hard to believe. As if the sleek glass didn't make the eco-friendly drinking vessel look stylish enough, you can also swap the sleeve and lid to suit your mood, your bag, your latest hair colour or whatever the latest trends dictate. 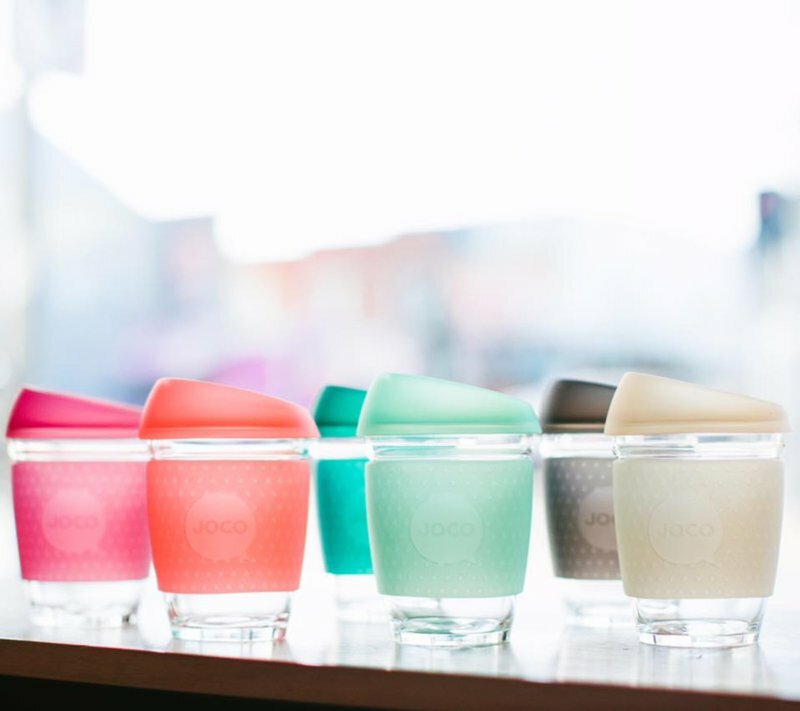 The sleeves and lids come in many different colour options, all of which are totally interchangeable, as long as you stick to the same coffee cup size. This means you can go from a spring-inspired yellow to a beachy-summer blue to an autumnal-aesthetic mauve and finally to a winter-festive red in just a couple of ticks - definitely not something you can do with a plain white takeaway coffee cup. Ready to start saving enough cash each year to seriously treat yourself, while doing your part to protect the environment and enhancing your quality of life? 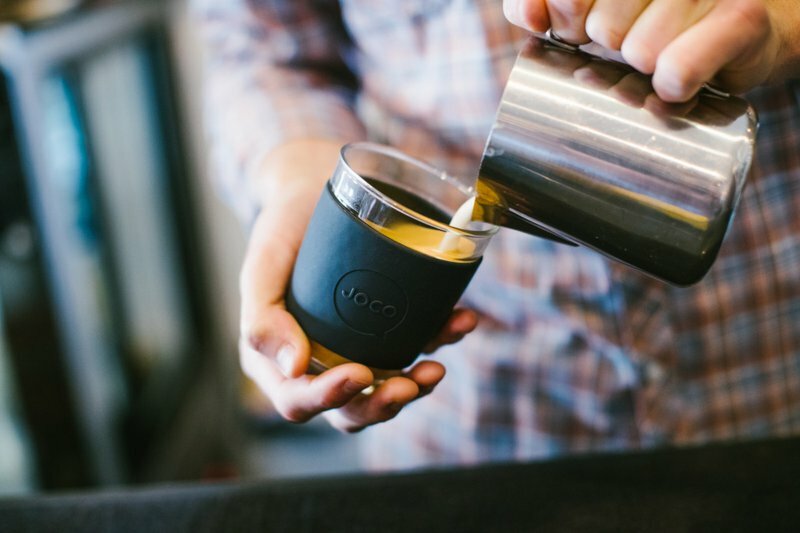 Grab your JOCO reusable glass coffee cup today and start planning what you're going to do with your $360. Join our e-mail list below for freebies, new products, recipes, how-to-guides and way more!